Happy World Breastfeeding Week! The week's theme this year is Breastfeeding: A Winning Goal for Life! We've shared before about our passion for normalizing breastfeeding. One of the best ways we can achieve this is by helping kids understand what breasts are for and how breastfeeding is a natural part of life for humans and many animals. Very young children are exposed to a wide range of salacious images on billboards, magazine covers, television, and more. It is overwhelming to say the least. My goal in my home is to make a proactive effort to combat these confusing messages. One way to do this is with picture books. Look at those sweet pups! Photo courtesy of Animal Baby ABCs, link is located below. I've made a few trips to the library and come up with some titles that support or celebrate breastfeeding. 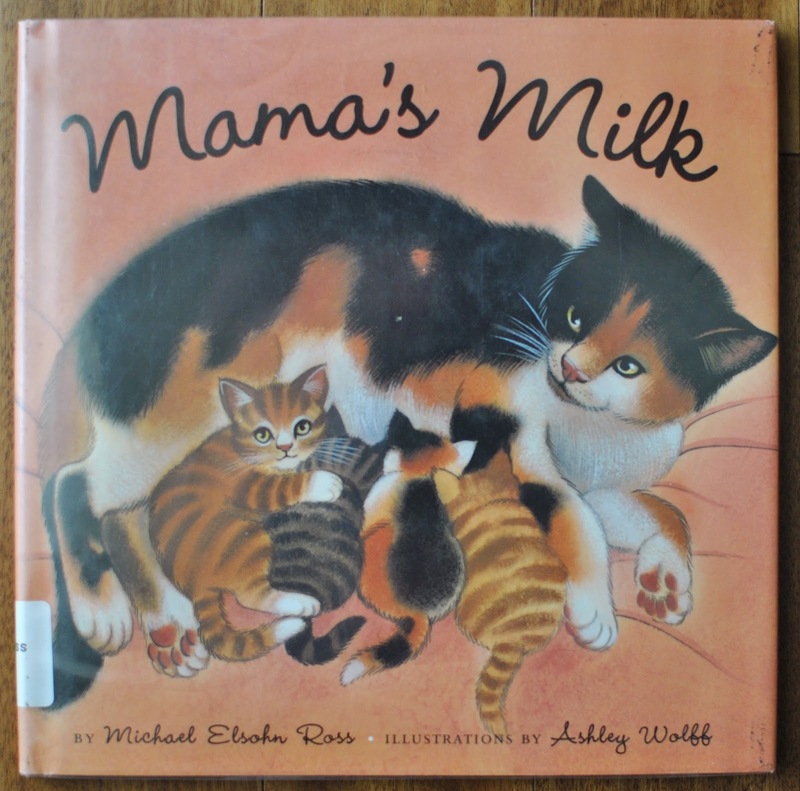 During my search I found books that explicitly instructed the reader about breastfeeding. I also found books where breastfeeding simply happened in the words or pictures and was more implicit in its quiet presence in the book. Just as with any other topic of instruction, both of these kinds of books are important and useful. This story pays homage to the sweet cuddles and nourishment babies receive when they drink their mama's milk. Both animals and humans are pictured throughout, and multiple skin tones are portrayed. 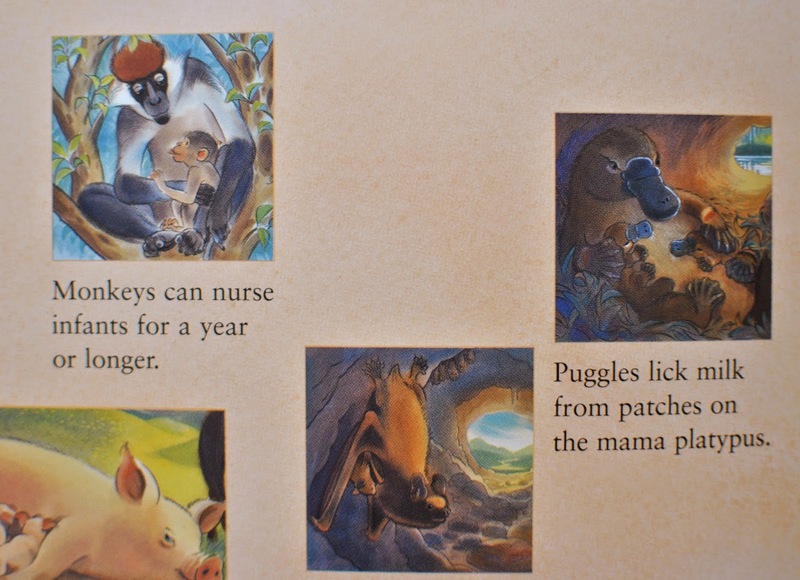 The rhyming story ends with a two page spread featuring many different mamas and babies accompanied by a short, factual caption about the way they breastfeed (did you know platypus babies drink milk from patches on their mama's fur?). I love Nicola Davies' non-fiction picture books. 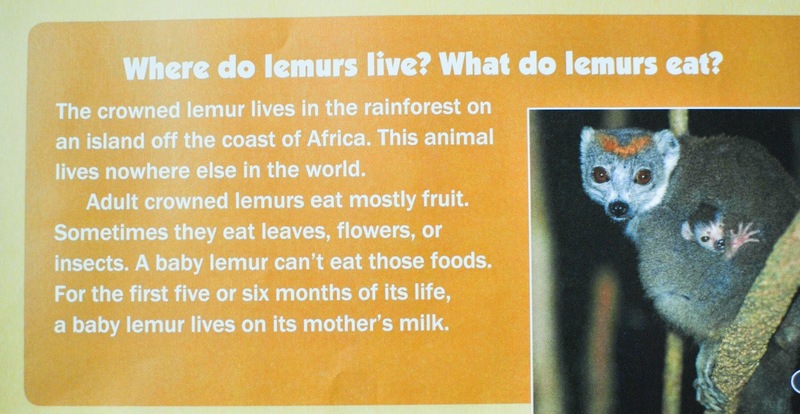 This literary non-fiction lets the reader get to know the animals in the story while providing smaller snippets of factual supplementary information on each page. 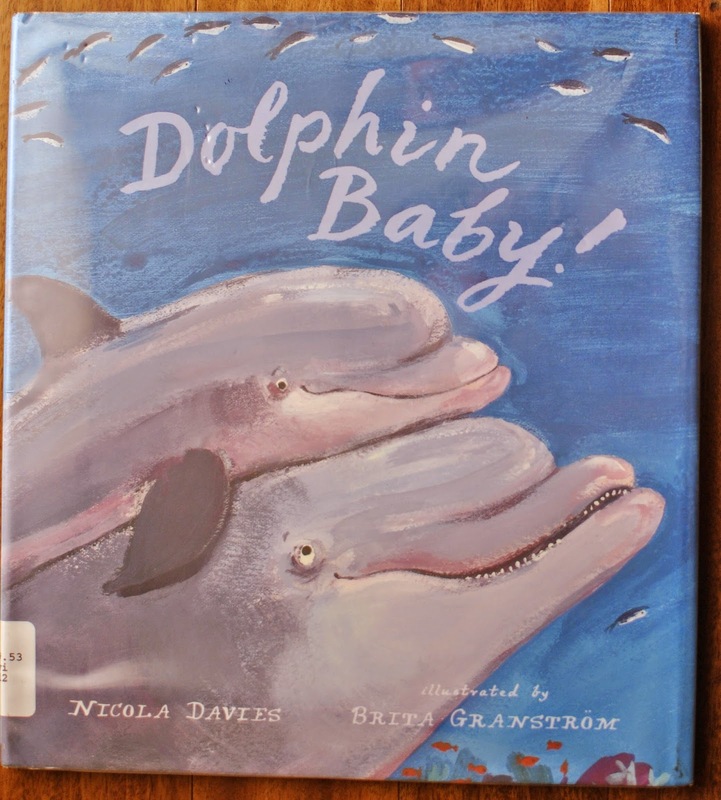 As you get to know this dolphin baby, you will learn about how he practices suckling until he is efficient at nursing and that he doesn't eat fish like his mom right away because her milk is enough. 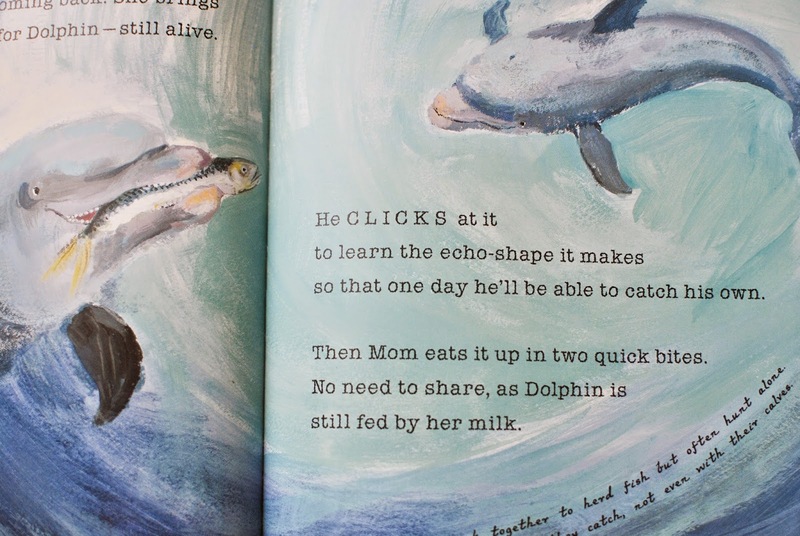 The illustrations show baby dolphin and his mama on each page in vibrant watercolors. There are pictures of him nursing, as well as being birthed (it is a small picture though, and in silhouette so as to not be too graphic for concerned parents). 3. 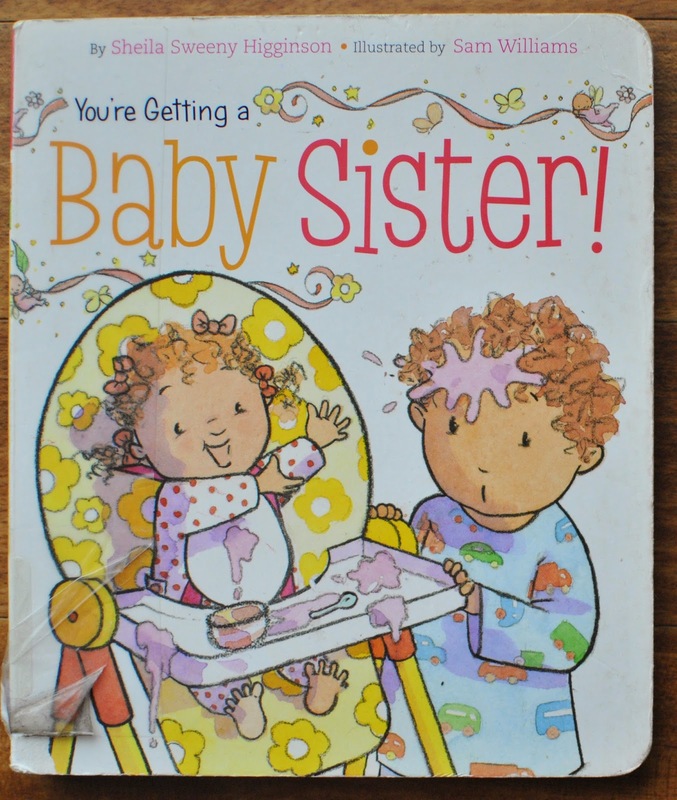 You're Getting a Baby Sister! the worries or frustrations a new older sibling might have, whether it's about getting hit by baby or having to share mom and dad with her. But the story reminds the reader that s/he is a big kid who will teach the baby how to grow up smart, loving, and strong! 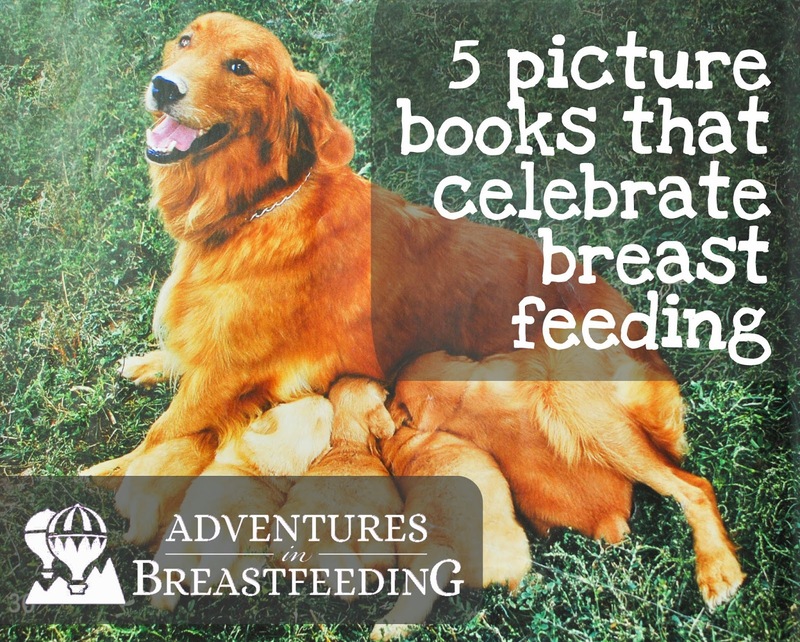 There is one implicit nod to breastfeeding pictured in the book. I also love that this is another title that shows many skin tones in the illustrations. 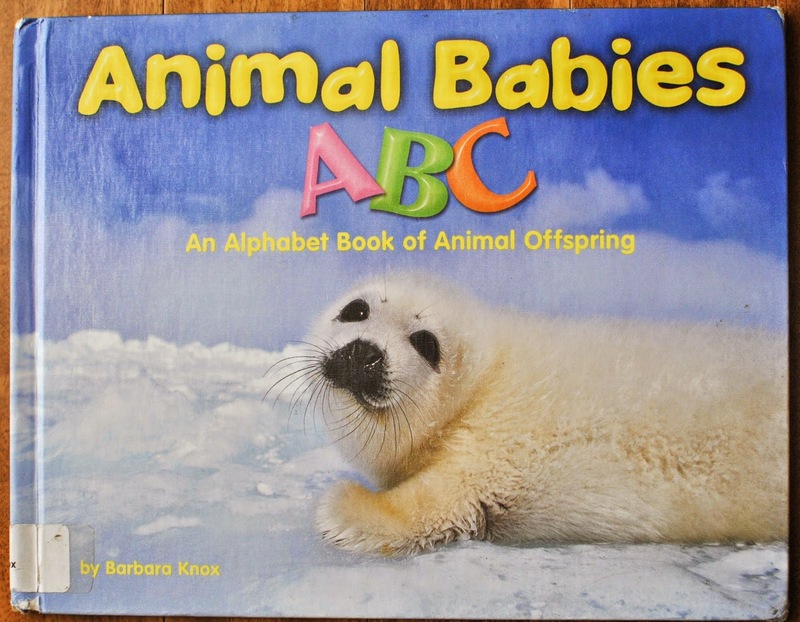 Your child will love looking at the adorable animal baby photographs in this book. Many of them zoom right in on the animal's face and "cute" just doesn't even begin to describe it. 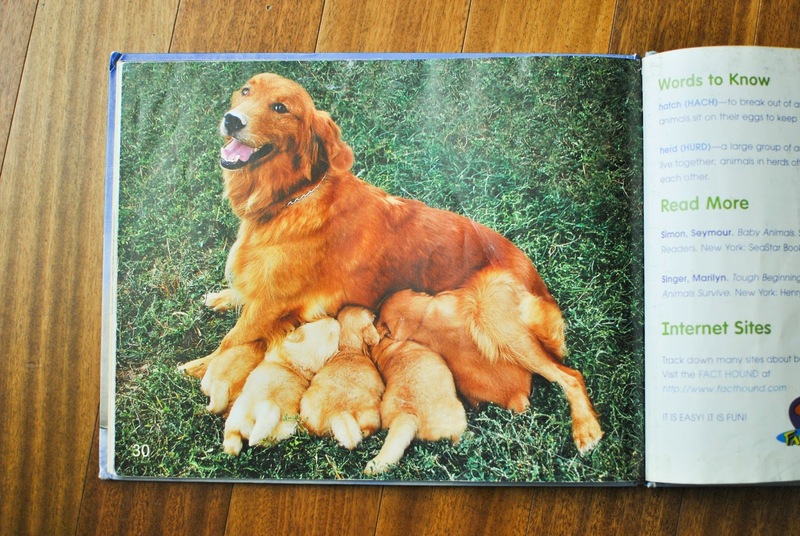 Each new page has a large full page photo of an animal baby. 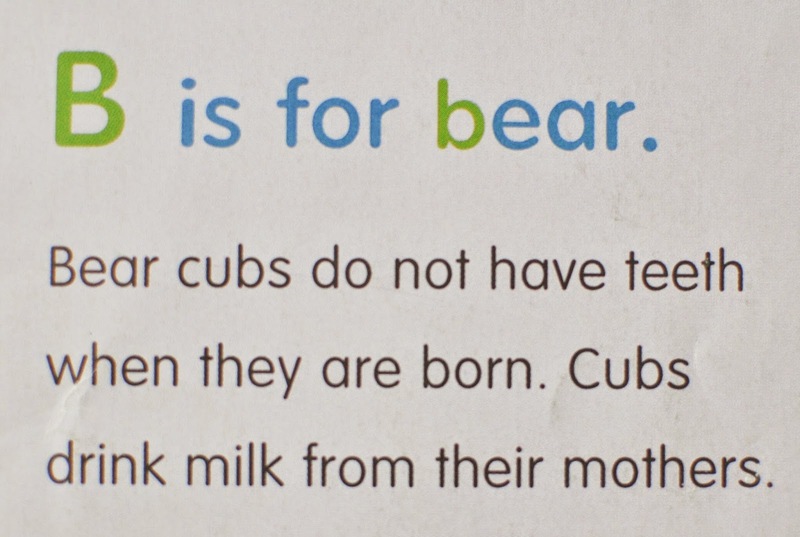 On the opposite page is the letter of the alphabet followed by the animal's name and a short factual sentence or two about it. The simple text would be great for early readers and the subject matter is high-interest for reluctant readers. 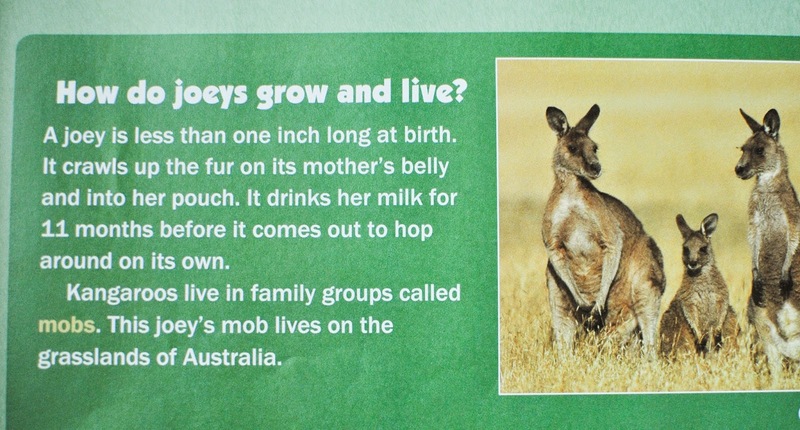 This is another title with some subtle nods at breastfeeding on a couple of the ABC pages, as well as a photograph at the very end of the book next to resources for more information about animal babies. 5. How Do Animal Babies Live? This last title is another animal non-fiction book that shares a few facts about mammals who nurse their young. Again, any subtle appearance of how babies eat is a great teaching opportunity. 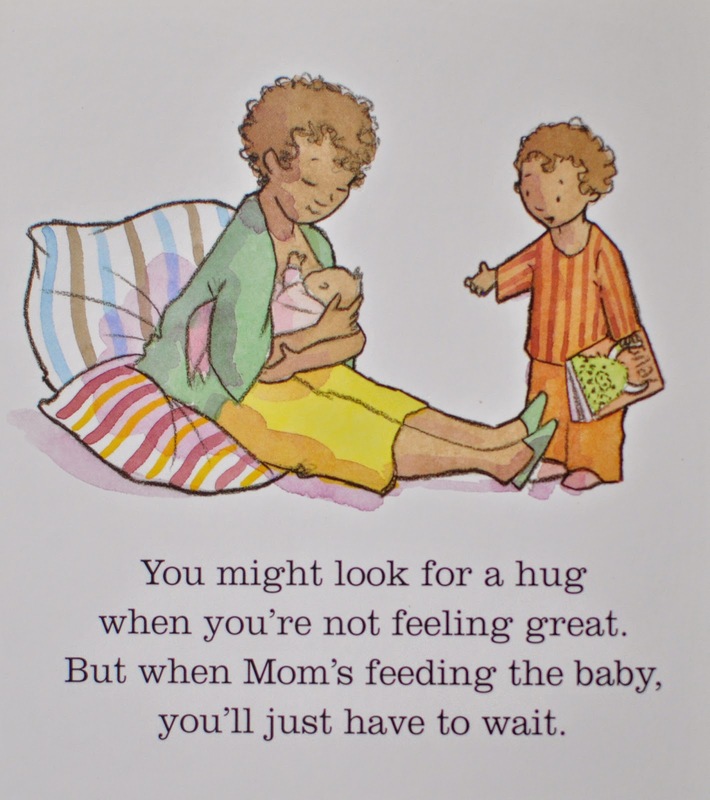 It also helps young children to understand that the world is filled with mamas and babies who nurse. 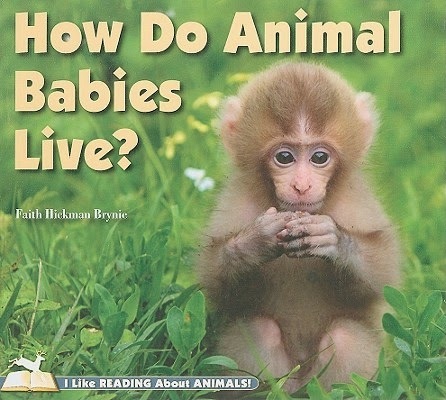 Each page tells about an animal baby: where it lives, how it behaves, etc. Readers are introduced to non-fiction text features like a table of contents, glossary, and sidebar photos with paragraphs explaining more. This would be a fun book for a first or second grader to read, either with you or alone. I hope that this gives you a solid place to start in your endeavors to portray nursing relationships in a positive light. Check your local library or click over to my Amazon affiliate links listed above. You can also find other book lists here and here. I truly believe that the best way to make breastfeeding a "winning goal for life" is to start young. No matter who you are - a breastfeeding mom, formula feeding mom, e-pumper, dad, teacher, aunt, uncle - you can help our culture make positive movement forward by sharing books like these with the next generation. 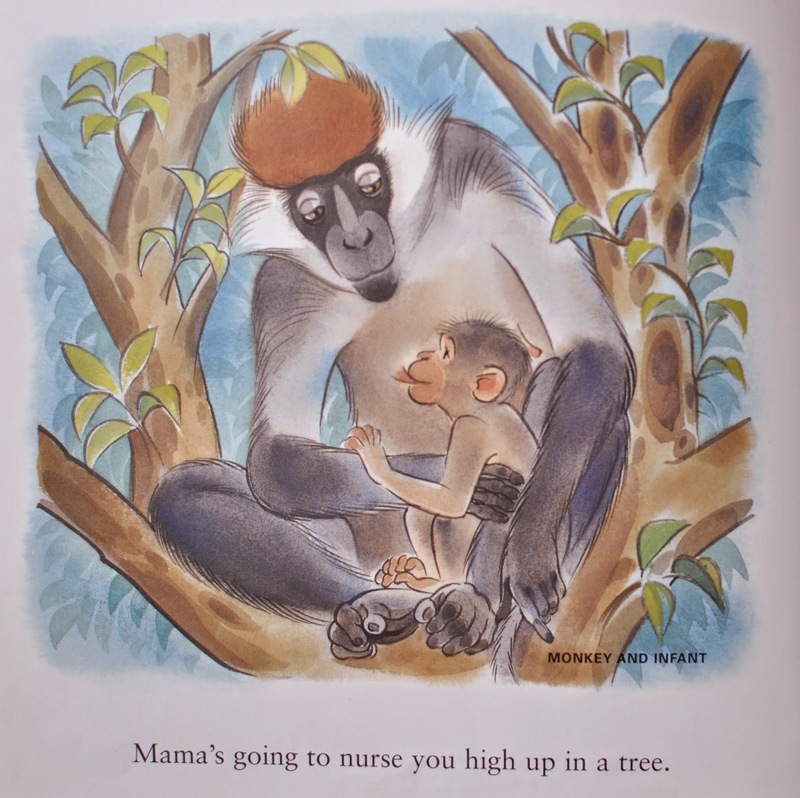 Do you have well-loved picture books you read with your kids? Share your favorites in the comments below!